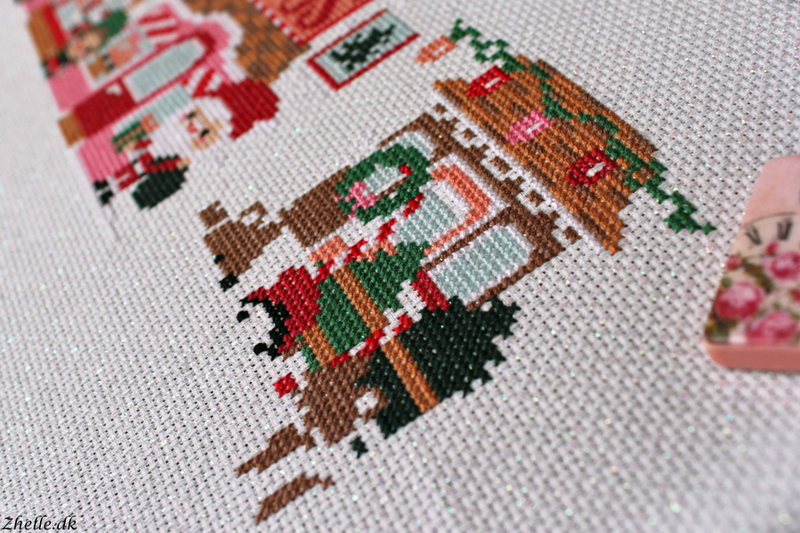 One of my ongoing projects is 'A very merry Christmas town' by The Frosted Pumpkin Stitchery. I've mentioned it in a few blog posts and shown my progress. Now it's time to show a bit more! One thing is of course that I have been crocheting a lot instead of stitching. I really got the crochet bug at the moment! 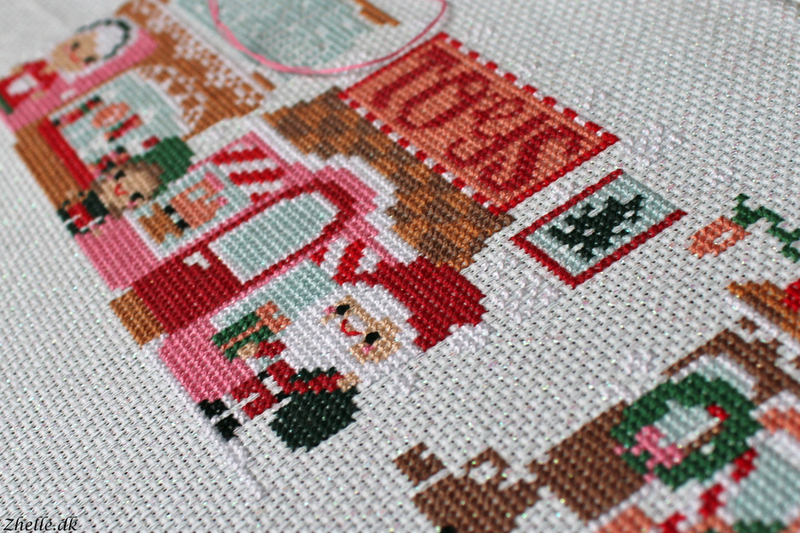 This project will also require metallic thread. A LOT of metallic thread. I have never been good friends with metallic threads! I started stitching on this project again last week and I got a bit further with the Christmas tree shop. The bulbs on the roof all have colours and the candy cane fencing is slowly taking shape. I also had a look at the candy shop and realised (well, it was a bit obvious) that I miss quite a bit on the sign. The pattern was originally in four parts. Each building is in a pattern part and the last part will be a banner underneath with 'Christmas Town' written on it. I've decided to finish up the parts in order. 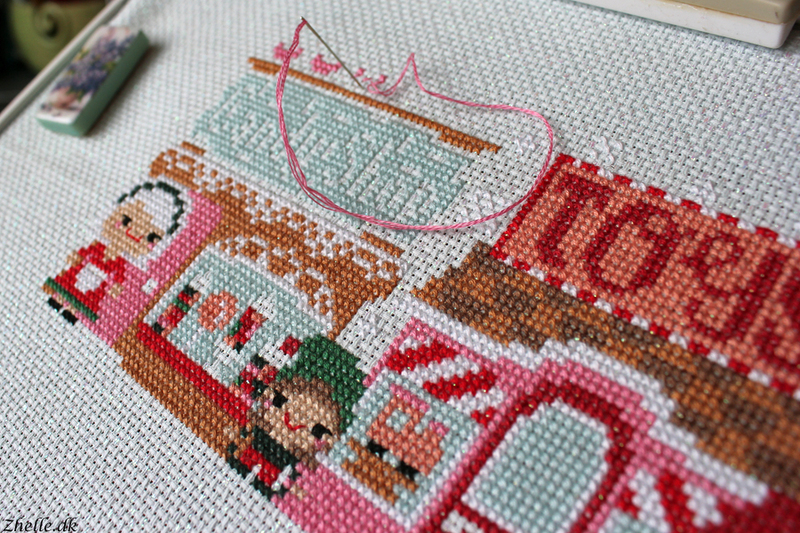 I think it's going to be easier if my stitching is a bit more organised than "I think I'll do this now".